Children’s Film Society India (CFSI) functioning under Ministry of information & Broadcasting, is mandated to create and nurture a dynamic child`s film culture in the country with a purpose of stimulating their creativity, compassion and critical thinking. 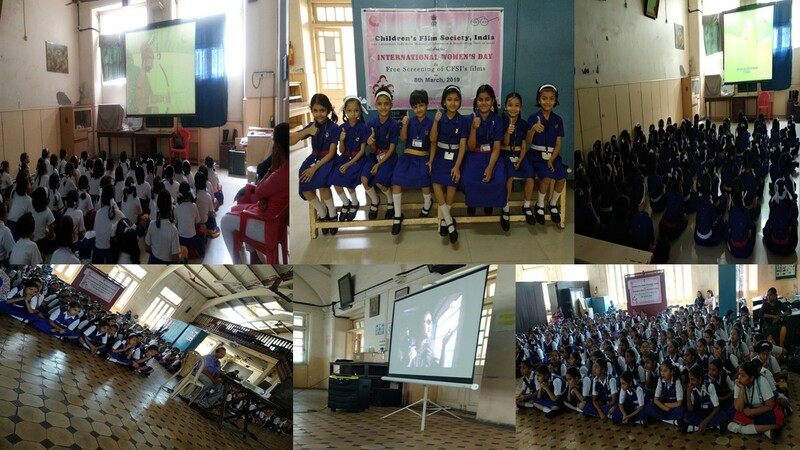 CFSI films provided a value based edutainment to our by celebrating International Women’s Day with our students on 08.03.2019 by organizing screening of CFSI films on women empowerment. The Primary as well as the Secondary students enjoyed the screening of CFSI films Laadli , Krish Trish & Baltiboy-I and Vaishnava Jana to respectively.